Sometimes if you have limited space in your suitcase (like I always seem to) you need to be a bit picky about what souvenirs to take home. This is why I always leave my souvenir shopping until the last few days of my trip. 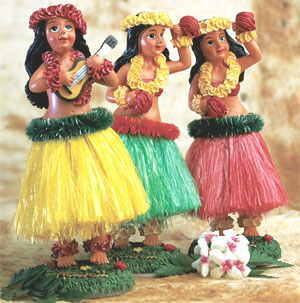 When going to Hawaii I knew that I definitely wanted Hula girls to give to my friends and that I should buy them on one of the smaller islands. Unfortunately, I hardly found any, other than at the ABC Stores which are a mass-produced items. I held off buying as long as I could but in the end they were the best quality and price. I particularly liked the chubby hula doll! I also stumbled across vintage-print postcards and thought they were a great find, until I kept seeing them again and again. I bought these from islandartstore.com and love them! Of course, there are leis and frangipani hair pieces available everywhere and markets stock bracelets and other beaded jewellery. 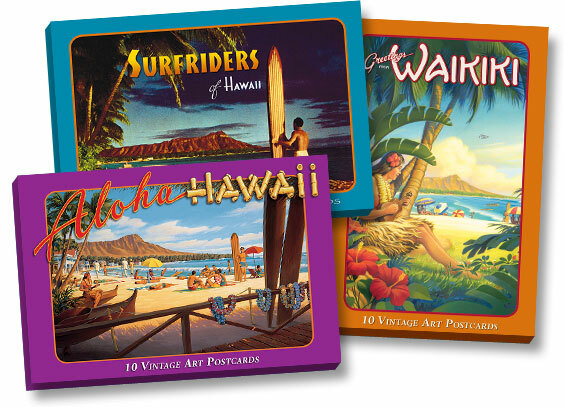 In Waikiki there are high-end souvenir stores with higher priced and unique items, although I know that I never put my souvenirs to good use (unless they are gifts) so don’t buying cheaper ones – there are much better things to spend your money on when on holiday!